Luma Series - UC - Prolume, Inc.
American designed and manufactured, the UC light engine delivers superior lumen output. 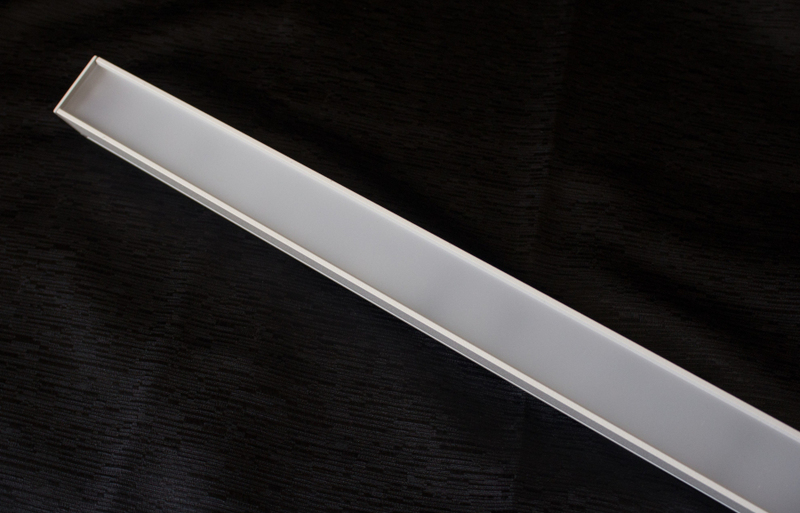 Discreetly contained within the powder coated deep channel aluminum housing, the UC easily blends in to any venue. The UC is offered in a standard and high output option and can be combined with either a clear or frosted lens to deliver the desired lighting effect. The UC can be daisy chained, comes in customizable fixture lengths and can be tailored to meet the exacting needs of nearly any specifier. The UC is available with either a fix or articulating mount and nine standard CCT/Color options. It is the ideal solution for cove and accent lighting when a concealed source of light and excellent light throw is required.